The startup dream: figuring out how to turn an industry on its head and capture the market. As automation and tech play an ever-growing role in some of the most successful startups, it pays to think about the role that humans will continue to play in growing businesses. Vacasa, a full-service vacation rental company, is a good example of how to do it right. They took advantage of a market that was ripe for disruption and leveraged both tech and the human touch in a ratio that has helped them scale their business while building an experience that sets them apart from their competitors. Hotels can be so bland. But vacation rentals can be, well, you never know what to expect, no matter what the online listing says. It’s not always easy to find a good place to stay—but it should be easier. Booking accommodations used to mean finding a hotel and enjoying amenities such as housekeeping, a restaurant, or a gym. But over the last few years, companies such as Airbnb have made it popular and easy for people to stay in other people’s homes. Property owners have benefitted from the Airbnb model, as it’s become easier to advertise and collect payment online. But Airbnb isn’t offering owners property management services, owners generally still have to serve as on-site housekeepers or concierges or hire someone separately to manage those tasks. The benefit to travelers is that they can book a place to stay without extras they don’t need, but they don’t want to have to worry about finding (or lugging around) a coffee grinder or clean towels. But to really disrupt the travel lodging industry, one company realized that they could offer a quality experience for lodgers and a much more robust set of services for owners. They streamlined lodging and booking experience for both owners and guests, and they started offering on-the-ground property and management and housekeeping services with a personal touch. In 2009 Cliff Johnson and Eric Breon founded Vacasa in Portland, Oregon. Vacasa has set out to make owning and managing vacation rentals as professional and stress-free as possible. They began with just one property on the Oregon coast. Today, Vacasa has expanded to over 1,400 employees who manage over 5,200 vacation rental units in 10 countries. They’re projected to grow that to over 8,000 units in 15 countries during 2018, spurred in part by a $40 million Series A funding round from Level Equity in 2016, and $103.5 million in a Series B funding round from Riverwood Capital and New Spring Capital, the largest funding round in vacation rental management history. Vacasa doesn’t see providing better rental accommodation services as just a matter of technology—though they have invested heavily in dynamic tech that leverages nimble pricing and allows a more personalized experience for customers. They say that one of the things that sets them apart is that they haven’t completely automated humans out of the picture. Vacasa does that by providing guests and homeowners a higher quality, worry-free experience, through on-the-ground local staff who manage properties in each of Vacasa’s 150 markets. 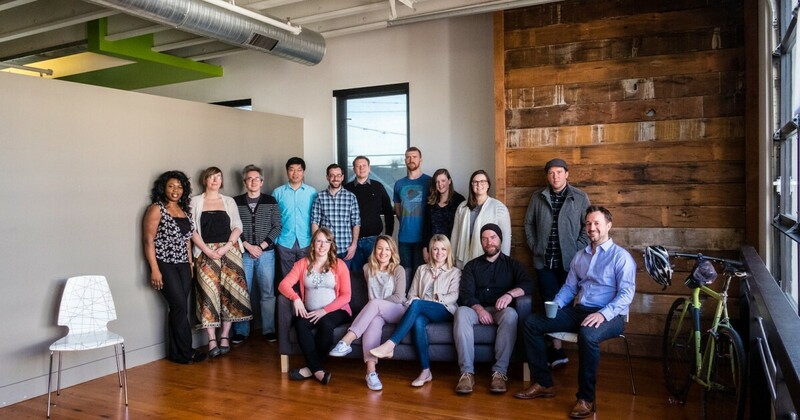 “Having a local presence has always been important to Vacasa, that’s why we have a local team in each of the markets we operate in,” says Johnson, who is also an attorney and a board member for Eugene-based MAPLE Microdevelopment and the Vacation Rental Management Association (VRMA). In addition to regular housekeeping and cleaning services, that can include anything from stocking up a few pantry basics to a housekeeper dropping by and replacing a coffee grinder. Vacasa sees on-the-ground staff as putting the personal into the technological, and they also understand how tech makes the human element more effective. A mobile housekeeping app for field staff keeps everyone in the know on a property’s status and any care or attention needed, and guests can call a toll-free number anytime for immediate help with their rental, anywhere in the world. Vacasa came about in part after the founders’ own poor experiences with trying to secure vacation rentals. Once in Seattle, a rental company wanted Breon to review over 20 pages of documents—then fax back signed copies. Johnson and Breon knew the process could be made easier through solid tech, especially by forgoing fixed-rate pricing. Homeowners couldn’t be expected to constantly manually change prices, yet pricing was also a factor in whether or not a traveler would book a late or last-minute booking. With traditional fixed pricing, homeowners had been leaving money on the table. Dynamic pricing has gained ground in other industries too. Think of how airfares can change from one search to another. Dynamic pricing also comes into play more universally at Amazon, which uses dynamic pricing across its ecommerce properties and is expected to start bringing it to online and brick-and-mortar grocery retail. With dynamic pricing at the core of its business and how it helps homeowners and guests, Vacasa is making regular investments and improvements in the tech underlying its dynamic pricing. A team of analysts used to determine and adjust pricing manually. However, as of April 2017, Vacasa’s Yield Management 2.0 automatically adjusts rates throughout the day by analyzing millions of data points—including market rates, home size, location, luxury classification and local events—to determine the best price. Vacasa isn’t just driving changes in the accommodation industry. The company is also making sure it’s keeping up with the current breakneck pace of change and disruption happening in everything from hotels to vacation rentals. Johnson and Breon started Vacasa because they thought booking accommodation online could be seamless, fast, and reliable, combined with an on-the-ground stay that was consistent, safe, and clean. Vacasa knew that its dynamic pricing could bring in better revenue for homeowners, while also helping travelers find good deals. They also knew that they could disrupt the industry—but would have to do so with more than just good tech. They had to have solid people throughout the organization, from senior management in Portland to the individual housekeepers on the ground in markets all over the world. The company is nearing its first decade in the midst of aggressive ongoing growth. However, Johnson looks back and sees that where Vacasa succeeded was finding the right ratio of leveraging technology and keeping the experience human. As entrepreneurs think about how to break into and disrupt all types of industries, it makes sense to approach strategy that centers on both tech and human relationships. In the age of increasing automation, don’t forget that humans will continue to play a key role in strong customer service and good communication.